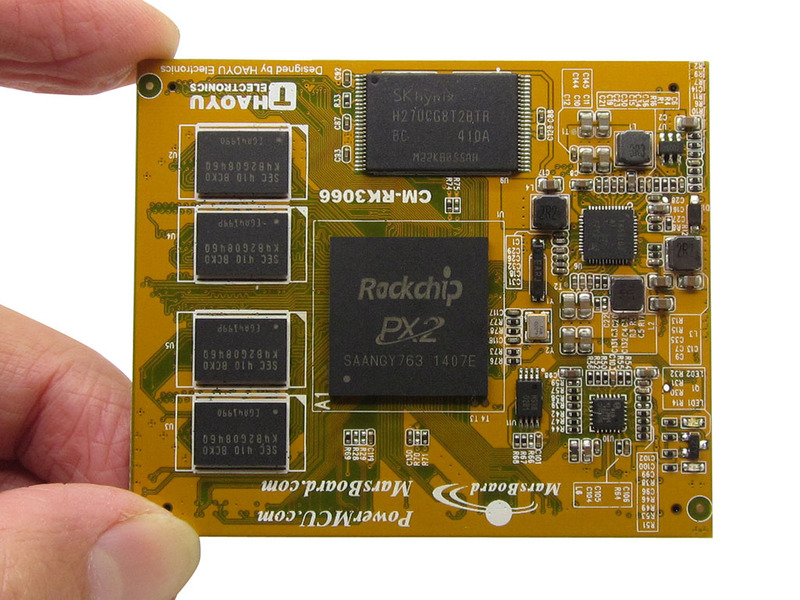 Rockchip PX2 is completely compatible with Rockchip RK3066, PX2 is more focused on industrial application, contrary to Rockchip RK3066 which targets consumer devices such as tablets and TV boxes. 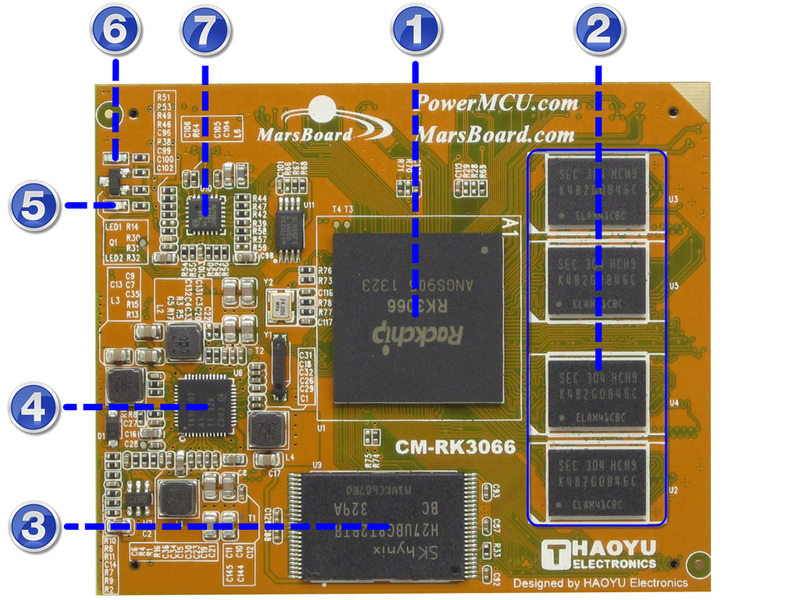 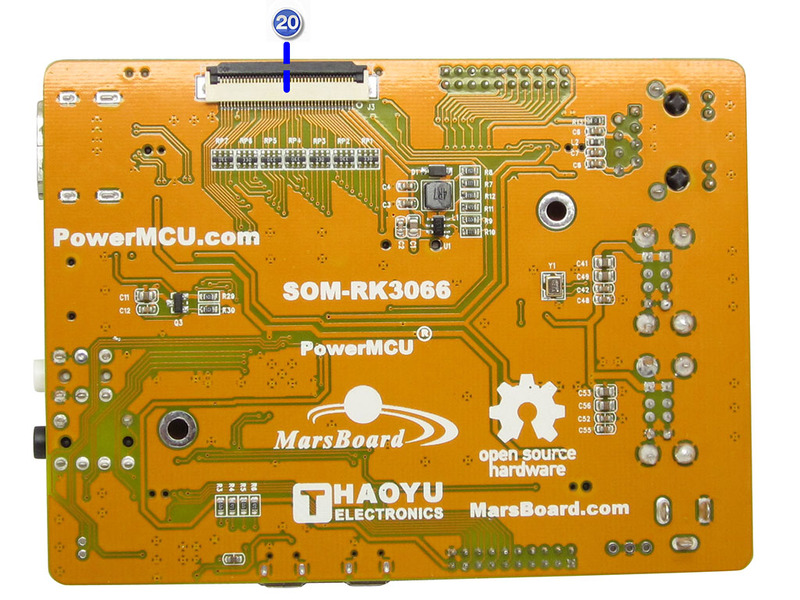 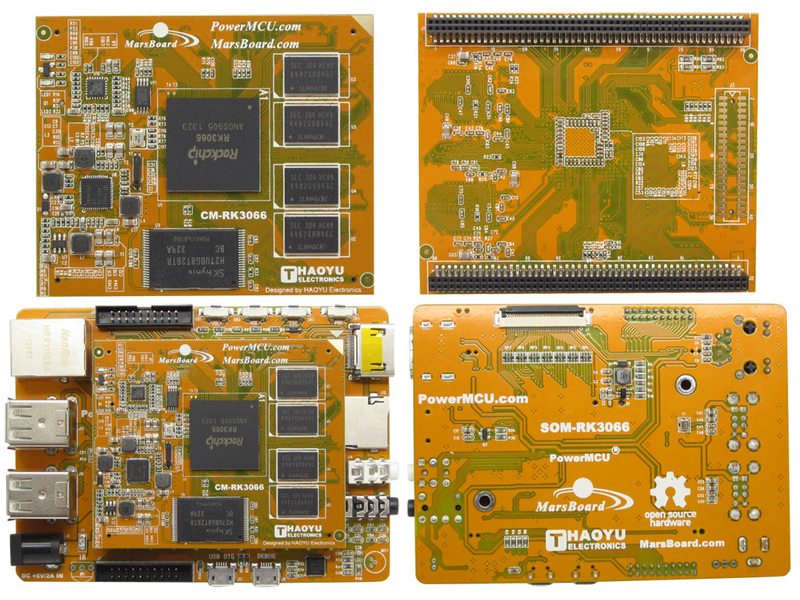 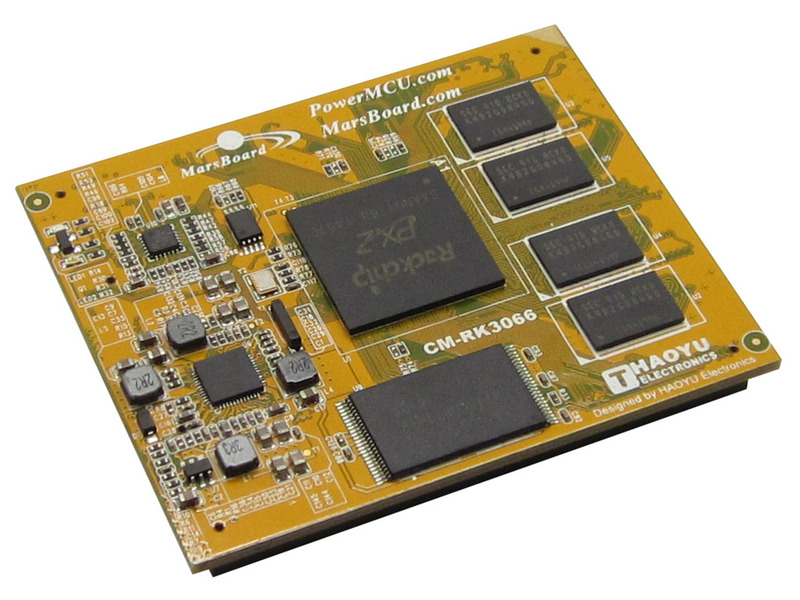 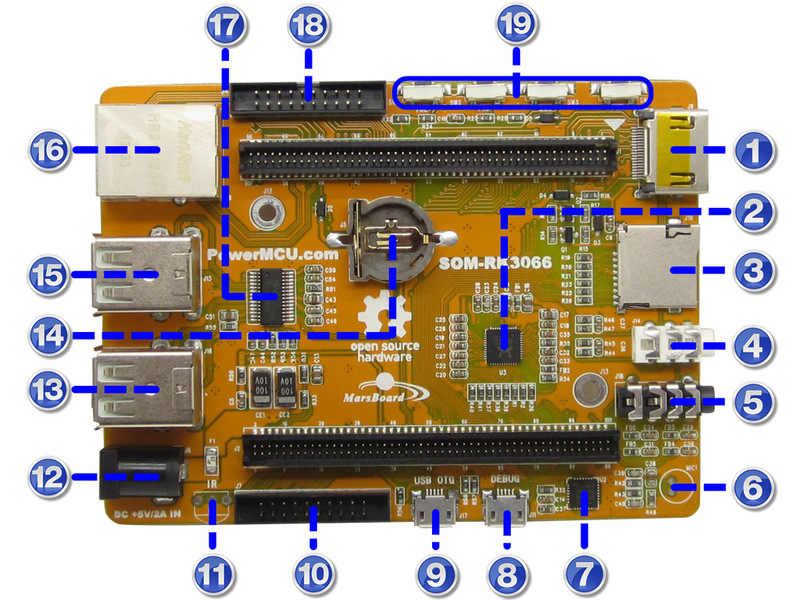 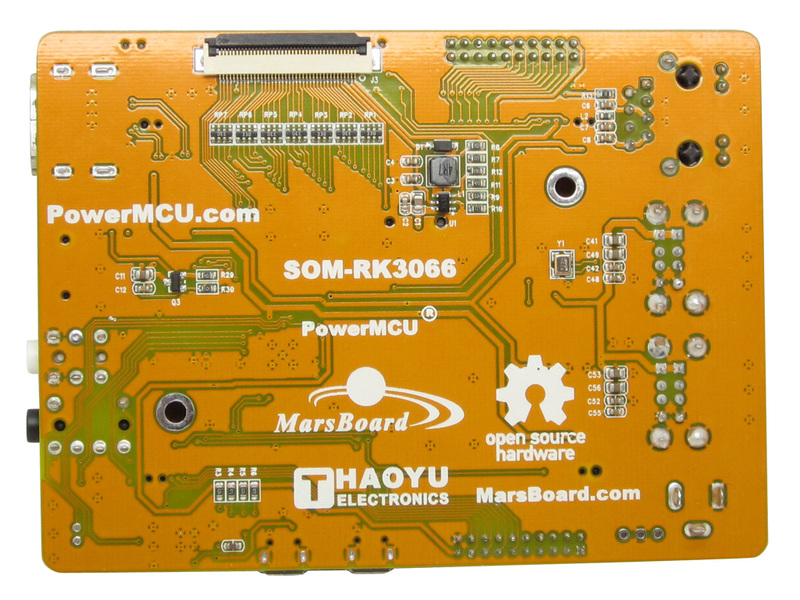 MarsBoard Rockchip PX2 Development Board contains CM-PX2 and SOM-RK3066, SOM-RK3066 is OSHW and PCB files are available for study, learn, modification, re-production. 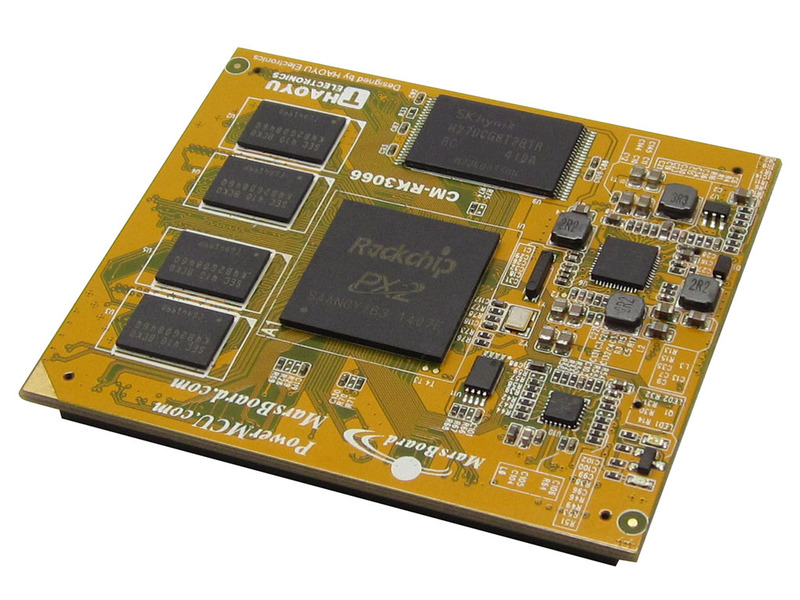 CM-PX2 is System on Chip module, which contains Rockchip PX2 Dual Core Cortex-A9 processor, Power managment Unit TPS659102, Ethernet PHY LAN8720A, 1GB DDR3 memory and 8GB NAND Flash. 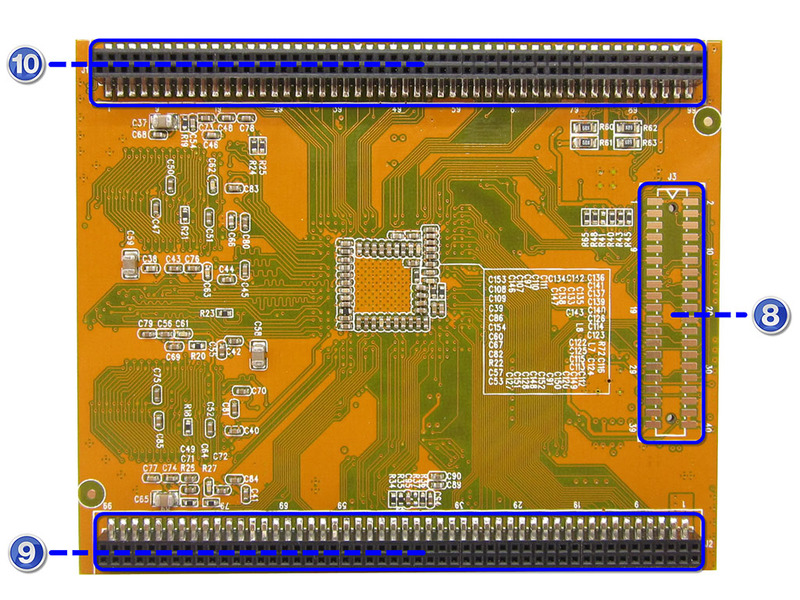 All PX2 signals are available on 2 connectors x 100 pin and 1 connector x 40 pin with 1.27mm picth.